There’s no place like home and there’s no place like TamilNadu. TamilNadu is my home state. I’ve been living in Chennai my entire life except for a brief period when I was in Bangalore and I’d happily live the rest of my life here in Chennai knowing for sure that I can get the freshest Keerai on Station road in West Mambalam, the best filter coffee powder on Arya Gowda road, the top quality cashews and wheat in Parrys corner, the best catch of fish on Lloyds road and the world’s tastiest idli sambar in Rathna Café Triplicane. I can’t think of anything else. I know no better. To say TamilNadu is just about idli dosai sambar, non-veg food is all about Chettinad food and veg food is TamBram food, is to believe “Chennai express” is about Chennai. There is a treasure trove of food to Tamil Nadu, much more rich and varied than restaurants, advertisers and others would have you believe (although idli-dosai, TamBram and Chettinad dishes are special in their own right). Idli-Dosai are definitely the most popular tiffen that are had for breakfast, dinner or as a snack any time of the day. Idli-Dosai are my life savers. Our bottom shelf in the fridge is reserved totally for Idli-Dosai batter. They keep well, are easy to make, are quick and can be varied endlessly. No wonder they’ve captured the imagination of people the world over. If you thought otherwise, Non-vegetarian food is as popular as vegetarian food. A simple potato varuval is made using a curry podi by Brahmins, powdered whole spices by Chettiars, using onion and ginger garlic by Naickers.. Every food is made by every community but differently and each one is as delicious as the other. This is not to say that Chettiars don’t use onion-garlic or others don’t use whole spices. Now everybody does it every way. There are slight nuances that differ between even each household. I love it that the thengai araithu kuzhambu (ground coconut stew) that my Periamma does is different from the one my mother does which is again different from the one my maamiyaar (mother in law) does. The Kari kuzhambu that we make in Chennai could be very different from the one made in Trichy, Aathur or Andipatti. In fact, the cooking in the smaller towns and villages is usually untouched by restaurant flourishes and is quite remarkable. Rice is the Tamil’s staple food. 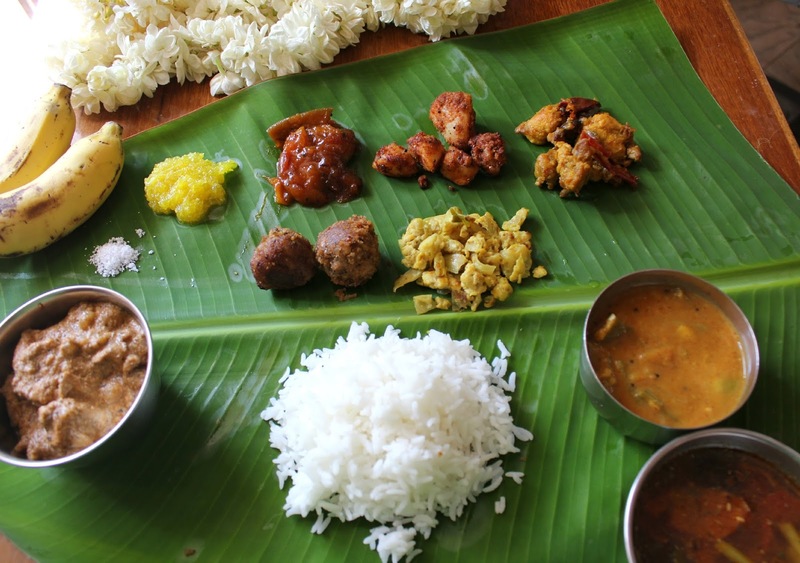 A vegetarian meal would include sambar (lentil-tamarind-veggie dish), kuzhambu, rasam and curd which are mixed with rice and had along with vegetable poriyals, varuvals, thokku, pachadi, vadai and appalam. Non-vegetarian meal would include a kuzhambu of chicken or mutton or seafood and a varuval or thokku also. I could not bring myself to post a single dish or cuisine from TamilNadu partly because I couldn’t decide and partly because I wanted to showcase a bit of everything. The TamilNadu meal I am posting today is an atypical TamilNadu meal. It is not the kind of meal you’ll be served at a Tamil wedding and definitely not at any restaurant but probably at an indecisive food-worshipping blogger’s place. I am not posting the detailed recipe of each dish today for lack of time. But I will soon. Today’s meal is a veg and non-veg meal. 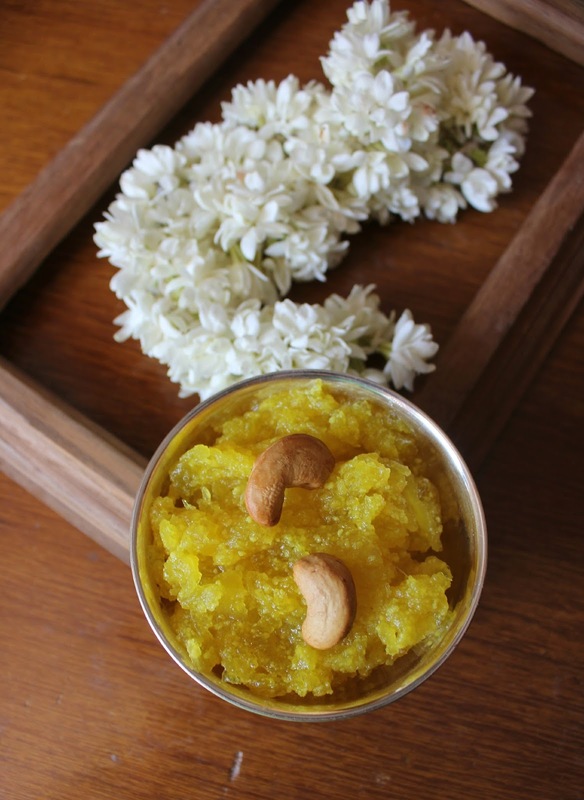 Kasi Halwa: We start with the traditional Kasi Halwa (ash gourd halwa) a popular wedding/special occasion sweet and in my opinion the best damn halwa in the world. It is unbelievable that such a tasteless vegetable (have you tried drinking ash gourd juice. I have.) can be transformed into something so magical. It’s important to squeeze out as much water as possible from the grated Ash gourd before you fry it in ghee. Once completely dry, cook in milk till soft and then add sugar and cook till it is the desired halwa consistency. Sweet Mangai Pachadi: I absolutely love this pachadi. It is hot, sour and sweet all at the same time. 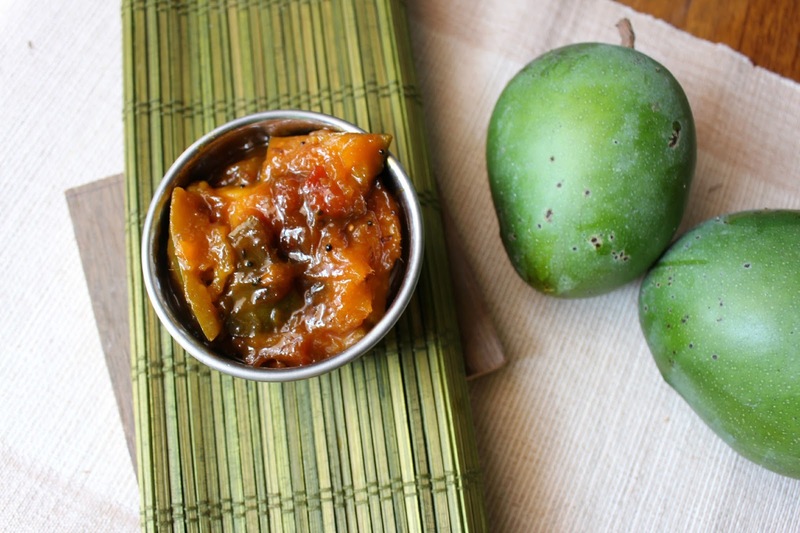 Raw mangos are cooked with onion and tomatoes, spiced with red chilli powder and jiggery to a thickish pachadi. 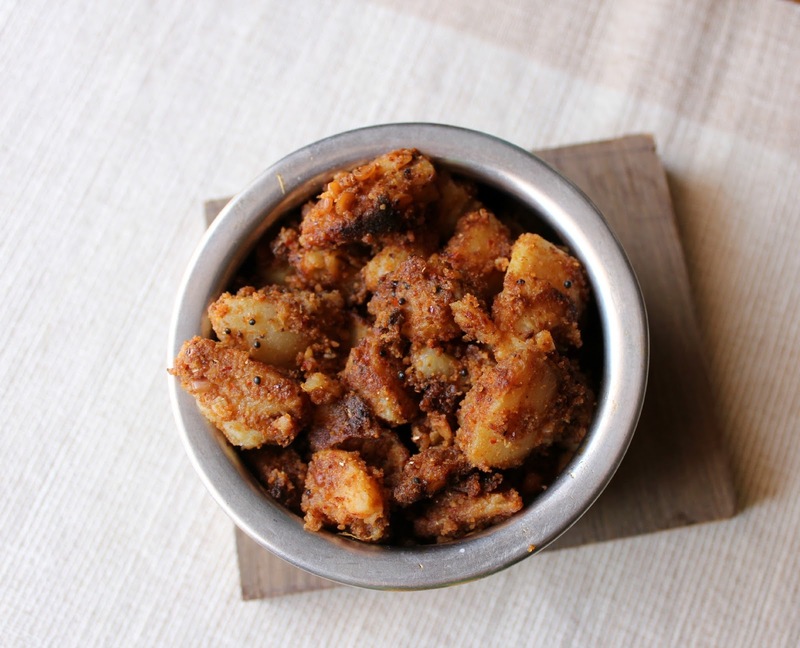 Iyer style curry podi spiced potato varuval: Boiled potatoes are tossed with a freshly ground curry podi mix which is amazing in its simplicity. 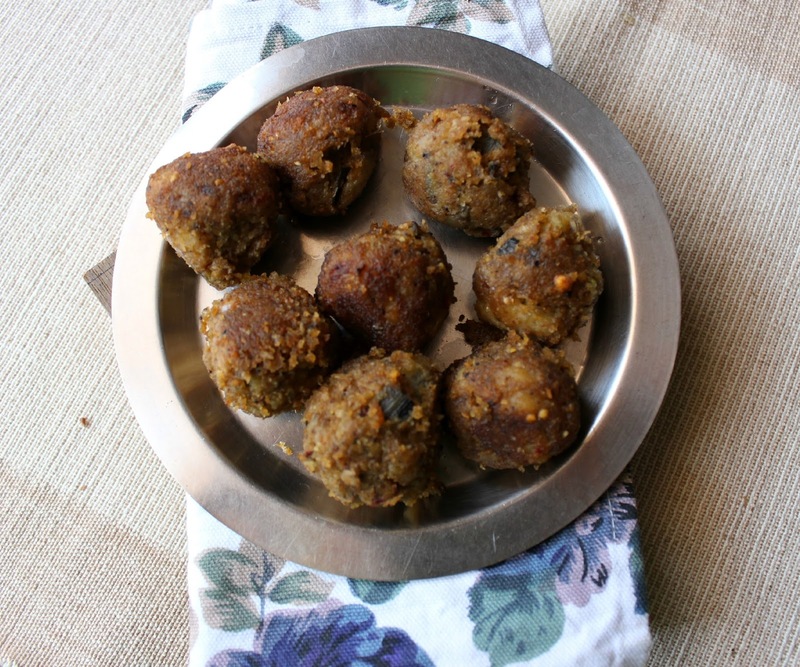 Raw Banana Kola Urundai: Raw bananas are boiled till tender, mashed and mixed with a wonderfully aromatic freshly ground masala, shaped into balls and deep fried to crisp golden brown perfection. 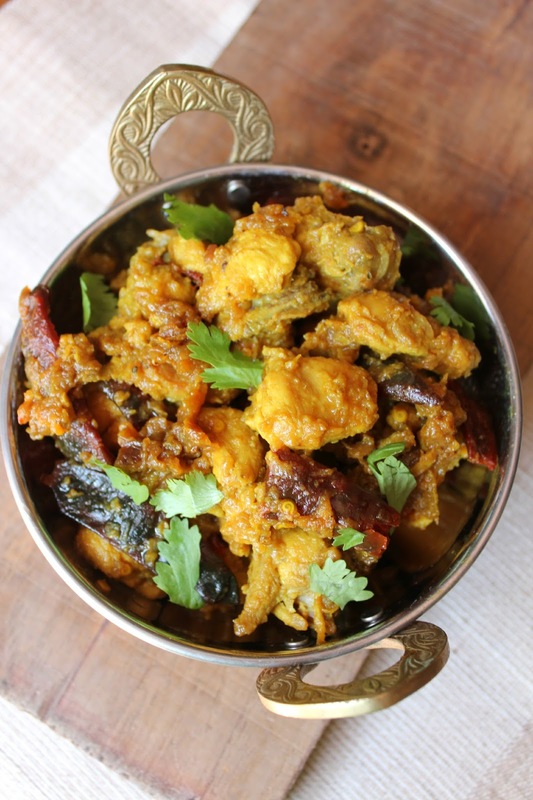 Pallipalayam Chicken fry: A specialty of the town of Pallipalayam near Erode, this dry chicken fry again uses minimal ingredients but yields super succulent tasty chicken. Muttai muttaigose podimas: This is our family favourite recipe that my Ammama used to make quite often. 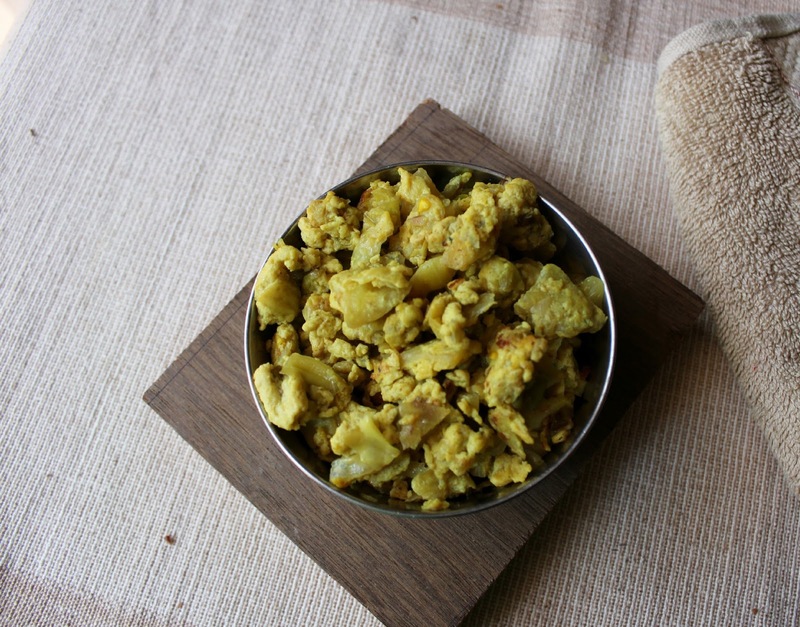 Cabbage is cooked till tender with green chillies and turmeric powder and then scrambled with eggs. Avarakkai Sambar: We make sambar with virtually anything. Avarakkai (Broad Beans) is cooked in spiced tamarind extract and mixed with boiled Toor dal to make this Sambar (missed clicking the individual photo). 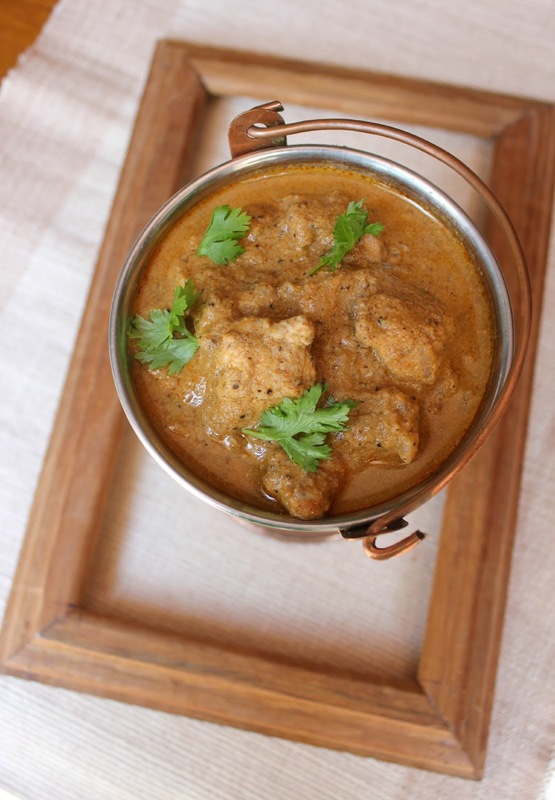 Aathur Chicken Kuzhambu: I picked this kuzhambu recipe from Chef Jacob’s book. It’s different from usual kuzhambus in that it includes back sesame seeds. It is hot, flavourful and perfect with rice or dosai. Milagu Rasam: Almost like a clear soup, this milagu rasam (again, missed the individual photo) is a light but hot broth that complements the heavier kuzhambu and sambar beautifully. This entry was posted in Party Food, Sambar & Kuzhambu, Sides/Vegetables and tagged Blogging Marathon, recipe, tamil nadu food, tamilnadu cuisine, tamilnadu meal, tamilnadu thali. So we see a Tamil spread..awesome…I love the dishes though we are vegetarians..and would omit that from the Thali..but all the veg dishes are bookmarked and perhaps I shall work on a Tamil Thali in the near future…good job with the meals. lovely write up about Chennai… so much explained in so less words!!! so true!! and this delicious spread is so festive and awesome!! Omg, wat a spread, just breathtaking, many delicious foods, am that chicken curry, raw banana kola urundai is just inviting..Soo tempting dishes. Lovely thali! All the dishes looks so good. Let us know when you update the recipes. I would like to try a few. Amazing plate of food Jayanthi. 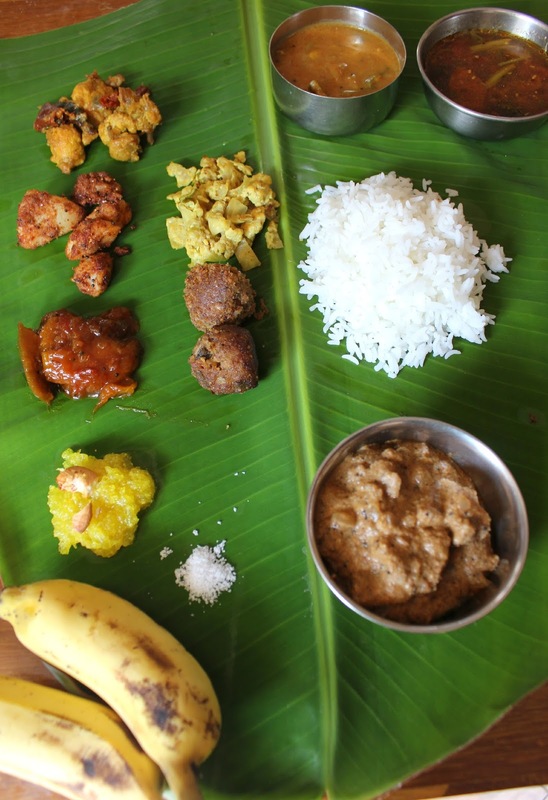 Lovely post about Tamil food..
Love that you took pains to showcase a whole array of dishes. Kudos to your efforts. Awesome looking spread,everything in the spread looks fantastic..esp. kasi halwa and the chicken fry makes me drool..Perfectly made. This is an awesome spread of food. Everything on that platter is mouthwatering. Love the intro and I am moving down to Chennai just because I love that! As for the food awesome, love to tatste all of it.